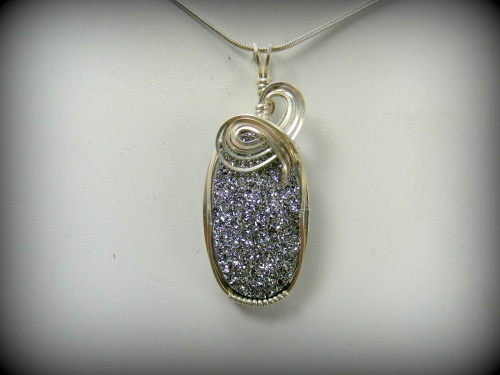 This amazing sparkle silver druzy looks like fireworks non stop. Unbeliveably dramatic. Sparkle beyond explanation! Piece enhaned with sterling silver curls and comes with a sterling silver snake chain. Measures 1 3/4 long from top of bail to bottom by 3/4".